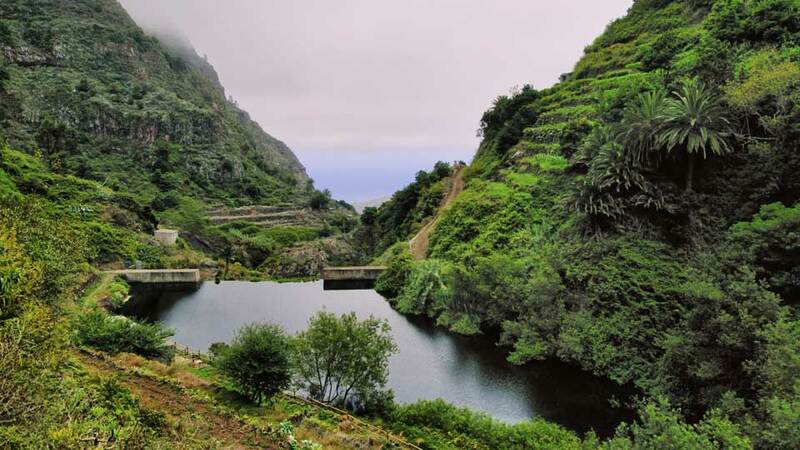 La Gomera’s trump card is its pristine natural wonders. Here, holiday resorts play second fiddle to a landscape featuring rocky mountains and dense green forests. Blessed with abundant flora and fauna, man and nature co-exist in this UNESCO World Biosphere Reserve. The island’s unspoiled land and the sea surrounding it is perfect for visitors wanting to relax or seek a more adventurous holiday. Be one with nature in its ancient Laurel forest, explore beaches tucked away in unspoiled cliffside coast, or soak up rich culture and surviving traditions. Families, couples, and single travelers in search of an untouched piece of nature will find plenty of things to do. Experience nature’s grandeur in the heart of La Gomera, beneath the dense forest canopy of Garajonay National Park. Explore this wonderland of the old Lauri Silva forest by foot or paddle around on a bicycle and admire the rich flora and fauna. Then, take the adventure to new heights at Alto Garajonay, the island’s peak. During the day, savor the astounding land and ocean views as far as the eyes can see. When the night falls, look up and see millions of stars hovering vivaciously over the island. Another great vantage point for viewing the lush scenery is at Los Roques Viewpoint. Witness the phenomenal sunrise over the La Gomera mountains or catch the sun spray beautiful shades of red and orange on the soaring rock walls as it kisses the horizon. Have had enough of the forest scene? Head on to the waters and visit the spectacular Los Organos Natural Monument. See this extraordinary rock formation up close, shaped and sculpted by the harsh waves, and rising abruptly from the ocean depths. The absence of endless golden beaches in La Gomera is well-compensated by its many wild and unspoiled black sand beaches. Start at the island capital, San Sebastian’s Playa de La Cueva, the island’s liveliest beach. After a refreshing dip, enjoy a glass of cocktail at one of the bars and restaurants that dot the coastline. For a more tranquil scene, head on over to Playa de Alojera on the northwest side. Dubbed as the island’s prettiest beach, the crystal-clear waters backed by towering cliffs never fail to captivate the hearts of its visitors. Then, unwind at Playa de Avalo, perhaps the most pristine and dramatic of them all. This beach, framed against imposing volcanic cliffs, is the way nature intended it to be. As such, it is the perfect spot for private picnics and those needing extra helpings of peace and tranquillity. 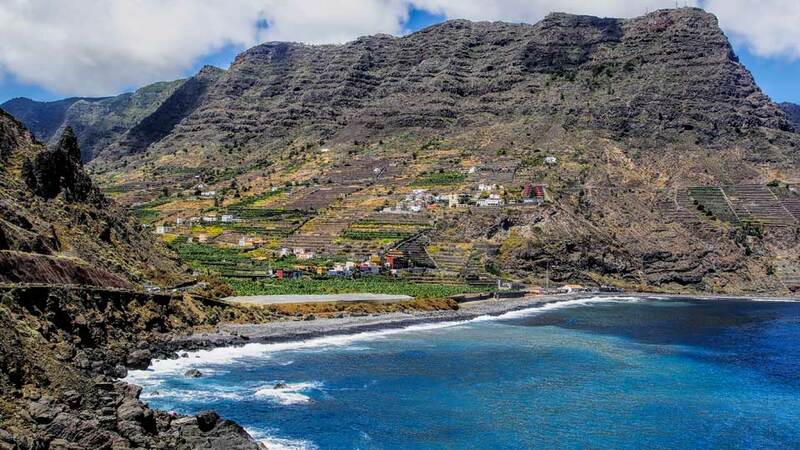 The entrancing land and seascape are not the only things that make La Gomera especially noteworthy. The island is also replete of authentic culture and rich heritage. Explore the historic center of San Sebastian and retrace the steps of Christopher Columbus who once set foot on the island. Visit the lovely Iglesia de Asunción and take photos beside Casa de Colon, where Columbus stayed while he was on the island. Then, learn how to whistle ‘hello,’ ‘thank you’ and a few other words in the island’s native whistling language known as Silbo Gomero or El Silbo. This unique language has survived since the Roman times and fascinated linguists all over the world. Guests on the mission to dig a little deeper into the island’s culture and traditions will find what they are looking for at La Gomera Ethnographic Museum. This gallery, set in a rustic building, exhibits La Gomera’s natural resources including fishing, forestry, agriculture and so much more. 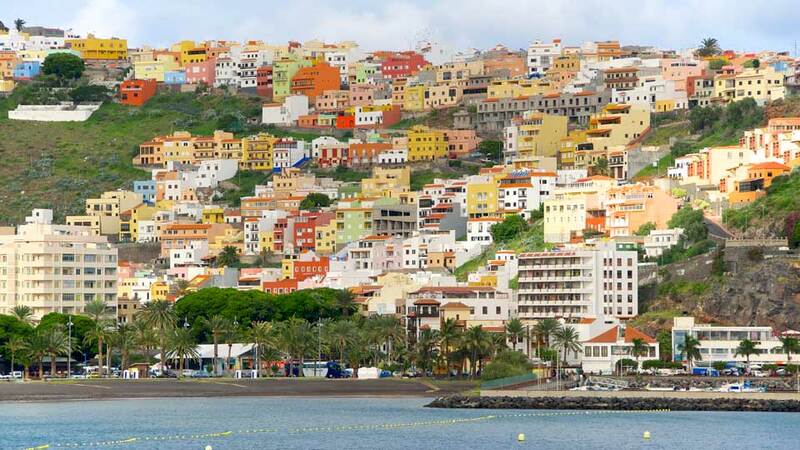 Unlike Tenerife and other larger Canary Islands, La Gomera lacks amusement parks and zoos. Even so, there are plenty of things to do for the entire family. It’s long, calm beaches like Playa Alojera and Valle Gran Rey are ideal for all ages. The is also the public pool right on the waterfront of Vallehermoso for kids. 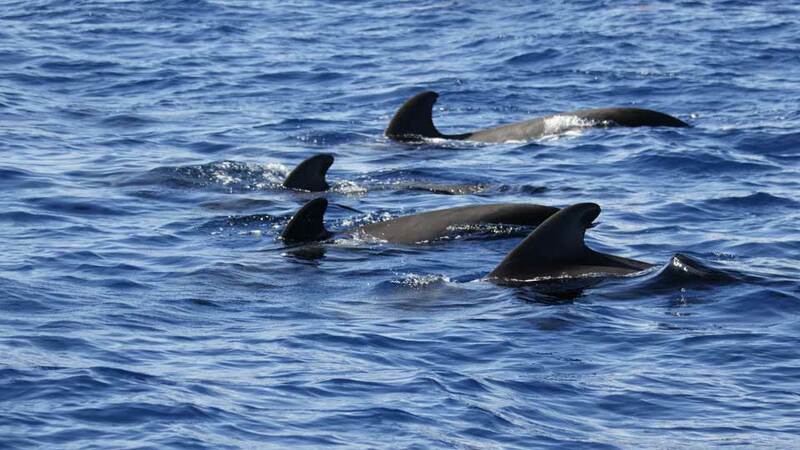 Aside from the beaches, short boat trips for whale and dolphin watching is an exciting activity for families. For a more relaxed and intimate atmosphere, there are picnic spots and playgrounds scattered within towns and villages.